In my Previous Articles i explained WPF Architecture Overview, Working or Consuming Three Tier Architecture in .Net Application and etc.Now i will explain How to draw different types of shapes and drawings using WPF XAML Tags. WPF Provides number of Shape of objects to draw 2D Graphics and Shapes. Available shape objects include Line, Path, Polygon, Polyline, Ellipse and Rectangle. These Shape objects share some common properties. 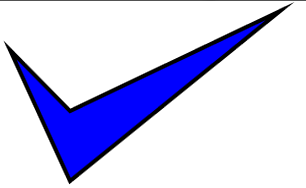 Stroke: Describes how the shape outlined is painted. StrokeThickness: Thickness of shapes outline. Fill: How the interior of shape is filled. Very first time we may confuse that what is coordinates i.e points (left,top) i.e left distance,top distance in the container control. Line tag of XAML use to draw a line. It has X1,Y1 X2,Y2 Starting and ending points attributes and Common Shape object attributes like Stroke, StrokeThickness. Using following code you can create line in code behind file. Ellipse tag of Xaml used for creating Ellipse and Circle(equal height and width). Ellipse has attributes Height, Width, Fill, StrokeThickness,Stroke. Fill attribute fills the ellipse with specified color. To draw a Rectangle use the Rectangle tag of XAML that has the following important Properties. used to specify width and height of the Rectangle. RadiusX and RadiusY: Used to specify the horizantal and vertical radius for the rectangle to make the corner's of the Rectangle rounded corner. By default it is (0,0). Fill: Used to specify the color with which Rectangle has to be filled. Storke, StrokeThickness, StrokeDashArray are common as described in Beginning of the post. Polyline is combination of mutliple lines and to draw a polyline use <polyline> of XAML that had the following important Properties. Points: Used to specify the list of points using which the polyline has to be drawn. Stroke, StorkeThickness, StrokeDashArray, Fill are common as above. It is a connected series of lines that form a closed shape. This is all about drawing Shapes in XAML. 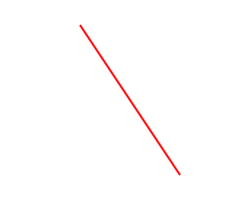 In my next article i will explain drawing shapes using Data Property of Path element. Don't forget to share and Comment for your friends if you like this article.